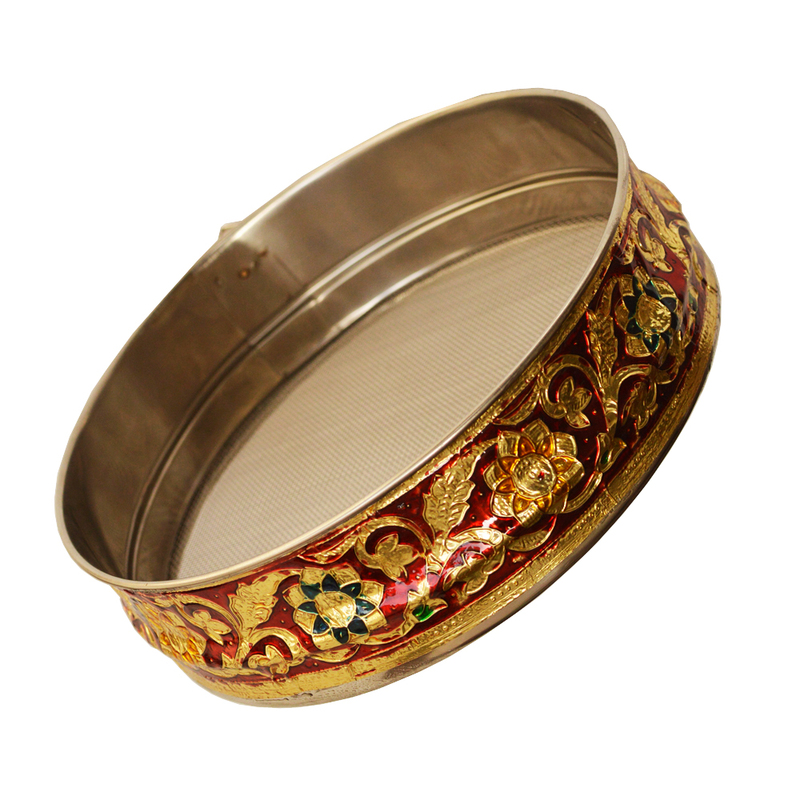 The exquisite pattern works in rich shades of red, gold, and green serves as a fine specimen of ethnic meenakari work on this fine Steel Read More..Chalni for Karvachauth with Meenakari Work. The steel body provides sturdy backdrop for all the detailed artwork to make it the perfect choice for couples with refined sense of aesthetics to perform the most crucial ritual on the auspicious occasion of Karvachauth. Therefore, it is bound to appeal to buyers looking for such regal pieces for such a special occasion. Show Less..